This refers to what is visible on your set. The design of the finished instrument is solely down to what you wish the instrument to look like and does not change the tone or sound of your instrument. 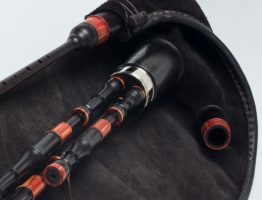 To help you decide on the shape of the bagpipe we have provided some pictures of the different finishing on the pipes. 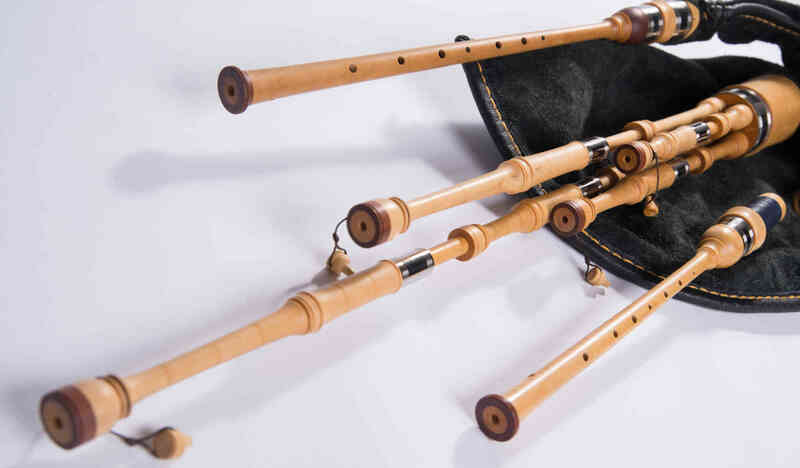 Boxwood: Scottish smallpipes with two chanters (A & D) and four drones. Regardless of design, all our pipes are hand turned on the lathe, and the surface treatment is done to the same quality. 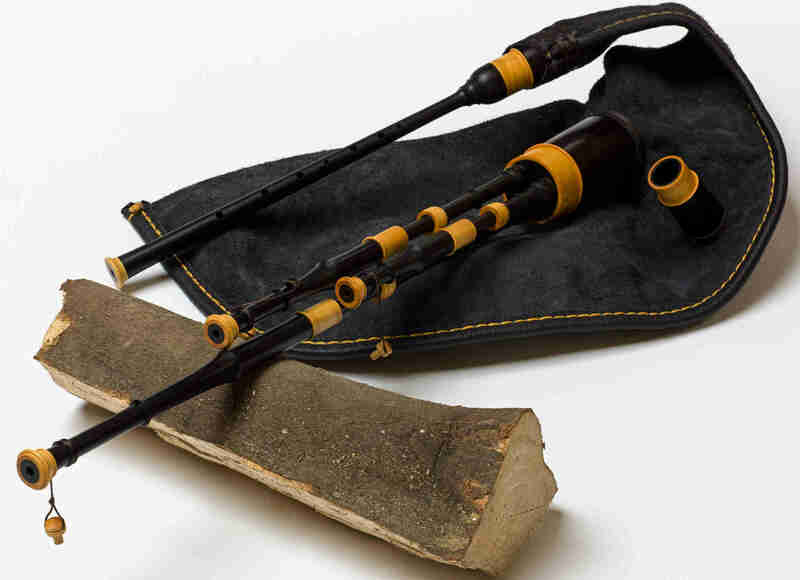 As said above, design makes no change to the sound of the instrument and is purely cosmetic. It really is down to personal taste what shape you would prefer. It will be your instrument for a number of years (we hope), so it is important that your set appeals to you not only acoustically but also visually. We are also keen to hear your wishes if you would like to customise your set even more. 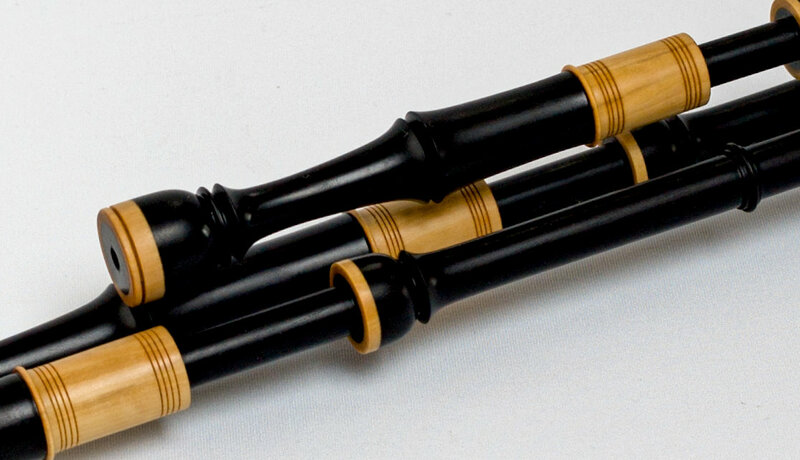 African Blackwood, Ebony, European Boxwood and Plum. In the past, we have made sets with Cocobolo, Olive and Walnut. These timbers can be arranged but may be subject to surcharge as we do not keep constant stock of these. Faux ivory, Bocote, Bahia Rosewood, Tagua nut (ivory palms). These materials are less suitable for the main timber of an instrument due to various issues (i.e. density of wood, size of the material) yet perfect for decoration. Ferrules can be chosen from nickel, German silver or brass. Gold plating on brass as well as silver plating on German silver ferrules can be arranged. Please note that the cost varies depending on the market price of precious metal and number and size of metal rings used for an instrument. 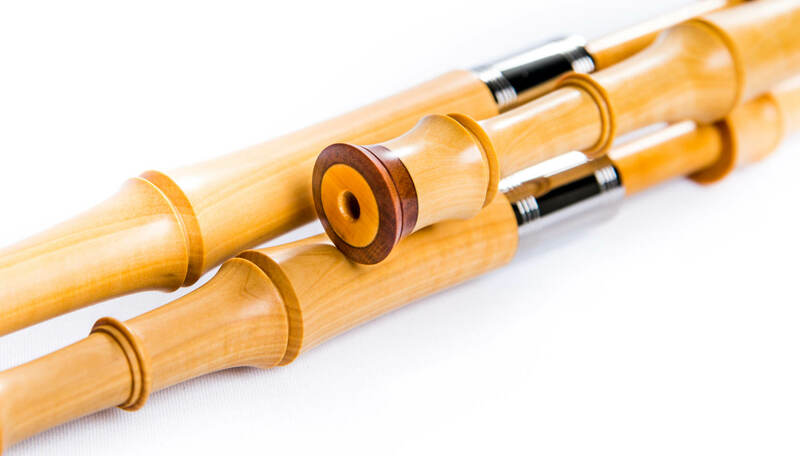 If preferred, ferrules can also be made in wood or faux ivory.